A birth always calls for a celebration, little Mason Parker's day of birth is also the birth date's of not one but both of his parents. His mother, 29-year-old Jacquie Parker of Long Island, spent her 28th birthday in labor. Meanwhile, his father 32-year-old Paul Parker stood by awaiting his son celebrating his birthday too. 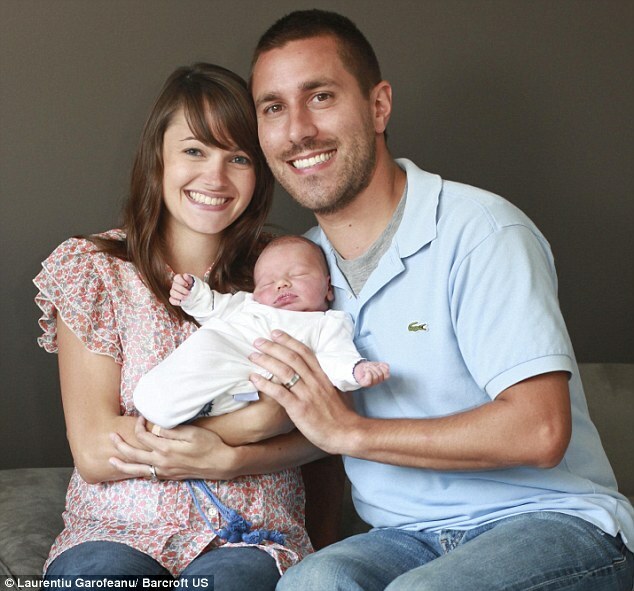 The couple was excited when Jacquie went into labor at three a.m. on July 19th, a day before her due date. Then began a race against the clock in hopes to deliver Mason and have a triple celebration. In the afternoon Jacquie's contractions stopped, but finally after 20 hours of labor, just one half hour before midnight Mason was born, naturally. The couple had planned on a quiet restaurant dinner for their birthdays but ended up with a much better thing to celebrate. The two are already planning a special party for next year to celebrate Jacquie's 30th birthday and Mason's 1st.